Speeding tickets can greatly affect your driving privileges and can also be expensive. Speeding violation laws vary by state and speeding can result in fines, points added to your driver’s license, driver’s license suspension or revocation, increased auto insurance premiums, and/or possible jail time. Being cited with a street racing, or drag racing, ticket differs from being cited for a speeding ticket. Street racing tickets are considered more serious offenses than speeding tickets and as such, the consequences of receiving a street racing ticket can include additional fines, points added to your driver’s license, as well as additional citations such as failing to fully stop when signaled or assault with a vehicle. All 50 states use 3 types of speed limit violations; absolute, presumed, and basic. Each type of speed limit violation requires a different legal defense, so the differences are important. An absolute speed limit violation is what most states have, which means if the speed limit sign says 25mph and you drive 26mph or higher, you have violated the absolute speed limit law. It is usually assumed to be an absolute speed limit violation if your state’s speed limit laws state a ‘maximum’ or ‘unlawful to exceed’ speed limit. Common defenses for absolute speed limit violations include claiming that the police officer’s determination of your speed was inaccurate, claiming that an emergency forced you to exceed the speed limit, and claiming that the police officer misidentified your vehicle for another vehicle. A presumed speed limit violation basically states that it is legal to drive over the posted speed limit as long as you are driving safely. So if you are driving 70mph in a 60mph zone, you are presumed to be speeding, but if the conditions of the weather and road are clear and dry you may be able to convince a judge to acquit you, since you technically were not driving at an unsafe speed. Not all states use the presumed speed limit violation system, and those that do use it only use it for some of their roads. Common defenses for presumed speed limit violations include claiming that you were not exceeding the posted speed limit or that you were driving safely for the conditions even if you were exceeding the posted speed limit. Emphasizing that you were driving at a reasonable speed for the conditions is usually the best defense. For example, it is easier to convince a judge that driving 38mph in a 35mph zone in clear, dry conditions was safe than to try and prove that it was safe to be driving 60mph in a 35mph zone. It can be a good idea to go back to the scene where you were cited for the speeding ticket (ideally around the same time of day and day of the week) to take photos, diagram the road, and assess how busy the road is. Obtaining a copy of the police officer’s notes is also beneficial, so that you can know in advance what that officer might discuss at trial. A basic speed limit violation is most commonly a ticket that is given after an automobile accident. The basic speed limit law applies to all states and you can be cited even if you are driving below the posted speed limit. The basic speed limit law is up to the officer’s discretion, so if the officer pulls you over driving, for example, 40mph in a 45mph zone in the fog, he may conclude that you were driving ‘too fast for road conditions’ and therefore issue you a speeding ticket. 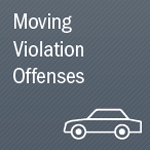 Fighting a basic speed limit violation is a bit more challenging for the prosecution, as they are required to prove that you were driving unsafely for conditions, which can be subjective. If your basic speed limit citation also involved a car accident, the police officer may argue that the accident itself is evidence that you were indeed driving at an unsafe speed for road conditions. Your best defense in response to that claim could include that the accident was another driver’s fault, the result of an act of nature, or the result of a defect in roads, road signs, or traffic signals. It is advisable that you do not plead guilty to a ticket that is issued to you immediately after a car accident, and that you seek the advice of a skilled attorney immediately. This is because a guilty plea can be used against you, should anyone who was involved in the accident try and sue you. Of the states that have a point system for traffic violations, each state has a different point standards for speeding violations. If you accumulate 12-14 points within 2 years, your driver’s license will be suspended for 60 days. The more points you accumulate, the longer your license will be suspended for. An accumulation of more than 12 points within 12 months or of 18 points or more within 24 months results in suspension or revocation of your driving privileges for a specifically set time period. Your driver’s license can be suspended for 3 months if you accumulate 14-17 points within 1 year. The more points you accumulate, the longer your license will be suspended for. You risk suspension of your driver’s license if you accumulate 4 points over a period of 12 months, 6 points over a period of 24 months, or 8 points over a period of 26 months. If you are 21 years old or older, you run the risk of having your license suspended if you accumulate 12 points within 12 months or 18 points within 24 points. If you accumulate 10 or more points within 1 year, you will lose your driver’s license for 30 days. You will accrue the same amount of points on your Florida driver’s license for convictions in any of the 50 states. You risk suspension of your driver’s license if you accrue 15 points within 24 months. You risk suspension of your driver’s license for 30 days if you accumulate 12-17 points within 1 year. You risk receiving 90 days of suspension if you accumulate 18-23 points within 2 years, and 6 months of suspension if you accumulate 24 or more points within 3 years. Illinois’ suspension lengths are as follows: 15-44 points result in a 2-month suspension, 45-74 points result in a 3-month suspension, 75-89 points result in a 6-month suspension, 90-99 points result in a 9-month suspension, and 100 points or more result in a 1-year license suspension. It is important to note that the state of Illinois also assigns points if you are driving below the minimum speed limit. If you accumulate 18 or more points within 24 months, you risk driver’s license suspension. You risk suspension of your driver’s license if you are under the age of 18 and accumulate 7 or more points within 2 years or if you are over the age of 18 and accumulate 12 or more points within 2 years. You risk suspension of your driver’s license for a period of 30 days if you exceed the posted speed limit by more than 30mph. You risk losing your license for up to 15 days if you accrue 12 or more points within 1 year. If you accumulate 5-7 points you will be required to complete a Driver Improvement Program. You risk suspension of your driver’s license if you accumulate 8 or more points. If you accumulate 12 or more points within 24 months, you risk license suspension. You risk a license suspension of 30-90 days if you accumulate 8 or more points within 18 months. Your license will be suspended for 1 year if you accumulate 12 or more points within 12 months, 18 or more points in 18 months, or 24 or more points within 24 months. If you accumulate 30 or more points within 3 years you risk losing your driver’s license privileges for 3 years. You risk license suspension if you accumulate 12 or more points within 2 years, or, if you’re under 21 years old, 6 or more points within 12 months. You risk losing your driver’s license privileges if you accrue 12 or more points within 2 years. You risk suspension of your driver’s license if you accumulate more than 9 points within 1 year (if you are 18-20 years old), and 12 points within 1 year (if you are age 21 or older). Your driver’s license will be suspended if you accumulate 12 or more points on your driving record. If you accrue 7-10 points within 12 months your driver’s license will be suspended for 3 months. If you accrue 12 or more points your driver’s license will be suspended for 1 year. You risk suspension or revocation of your driver’s license if you accrue 11 or more points within 18 months. You face potential license suspension if you accrue 12 or more points within 3 years. You risk suspension of your license if you are convicted of street racing or if you accumulate 2 convictions of speeding over 55mph within 1 year. If you accrue 12 or more points on your driving record, you risk license suspension or revocation. Your driver’s license will be suspended (usually for 6 months) if you accrue 12 or more points within 24 months. If you accumulate 10 or more points within a 5-year period, your driver’s license will likely be suspended. Your driver’s license will automatically be suspended once you accrue 11 points. Your driver’s license will automatically be suspended once you accumulate 12 points. You risk driver’s license suspension if you accumulate 15 points within 12 months or 22 points within 24 months. You risk suspension of your driver’s license if you accumulate 12 points within 12 months. You risk suspension of your driver’s license if you accrue 4 traffic law convictions within 12 months, or 7 traffic law convictions within 24 months. If you accrue 200 points within 3 years, you risk having your driver’s license suspended or revoked. Your driver’s license will be suspended if you accumulate 10 points within a 2-year period. Your driver’s license will be suspended for 90 days if you accrue 18 points within a 12-month period or 24 points within a 24-month period. It is important to note that in Virginia, speeding more than 20mph above the posted speed limit is considered reckless driving. Your driver’s license will be suspended once you accumulate 10 points, and your driver’s license will be revoked once you accumulate 12 points. Your driver’s license will be suspended for a specific number of days once you accumulate 12 or more points. Your driver’s license will be suspended for 2 months if you accrue 12 points within a 12-month period. Contact LegalHelpLawyers.com today to receive expert legal assistance with your speeding citation.